Melt butter in warm water. Stir in salt. Add yeast sachet. Let this bubble for about 5 min. Mix flour and Xanthum gum. Add this liquid to most of the flour (200g) and mix well with a wooden spoon (you can use a mixer but I have not tried it as it’s quick by hand) when combined add remaining flour. If it’s too dry add a few drops of water to just get it sticky but not wet. Mix by hand till combined and cover with plastic wrap and let stand for 20-40min in a warm place to let the yeast do it’s work. DO NOT KNEAD! It destroys the air pockets needed in no gluten flour. Turn into a loaf tin and brush with a little full fat cream. Sprinkle sesame seeds if you wish. I use mini loaf pans and cook for about 20-25 min. I made these in an air fryer so they actually took 10 min to cook. This yields a small loaf that actually does a decent rising job or two smaller mini loaves. Spread with butter when cool and enjoy! EDIT- UPDATE: I just discovered a helpful change to this recipe after a total failure. Please check you GF flour ingredients. 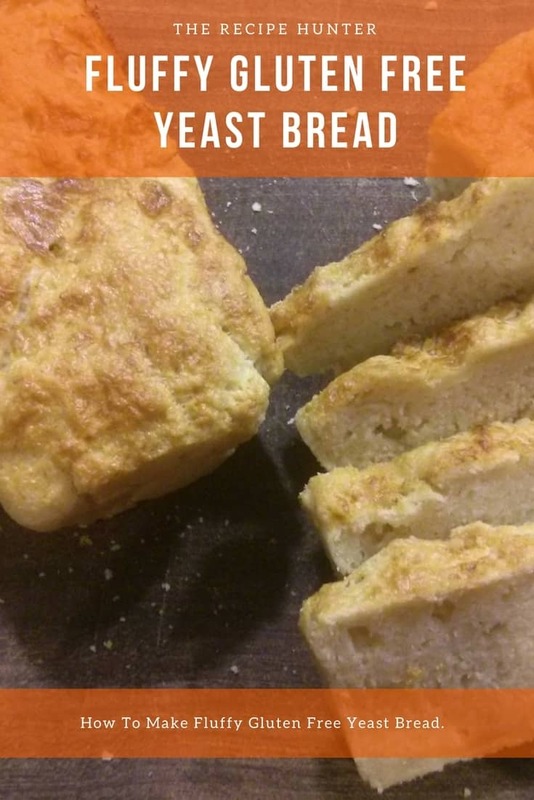 If you use a 1-1 it contains Xanthum already and adding extra will make this bread gummy and heavy (not nice at all). If it is an All-purpose GF flour it shouldn’t contain Xanthum then you add it. Hope this helps people who might have had a failure in the bread. Also, increase baking time to 35 min for a small loaf. (I made mini loaves and the 20/25 min is fine for those but not a full small loaf.